Let’s keep it simple and straight. SAP S/4HANA is an in-house data platform SAP. 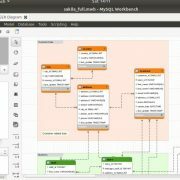 It’s a relational database providing support to Business Intelligence and many other ERP applications. 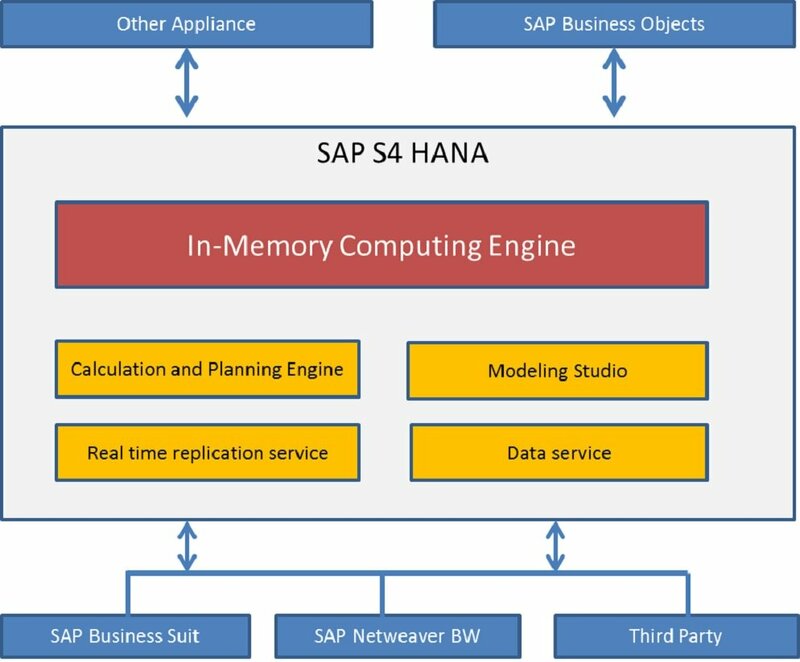 Why is SAP S/4HANA called in-memory database? Because CPU doesn’t have to look reach to the disk to fetch the required data. Since data is residing in the memory. 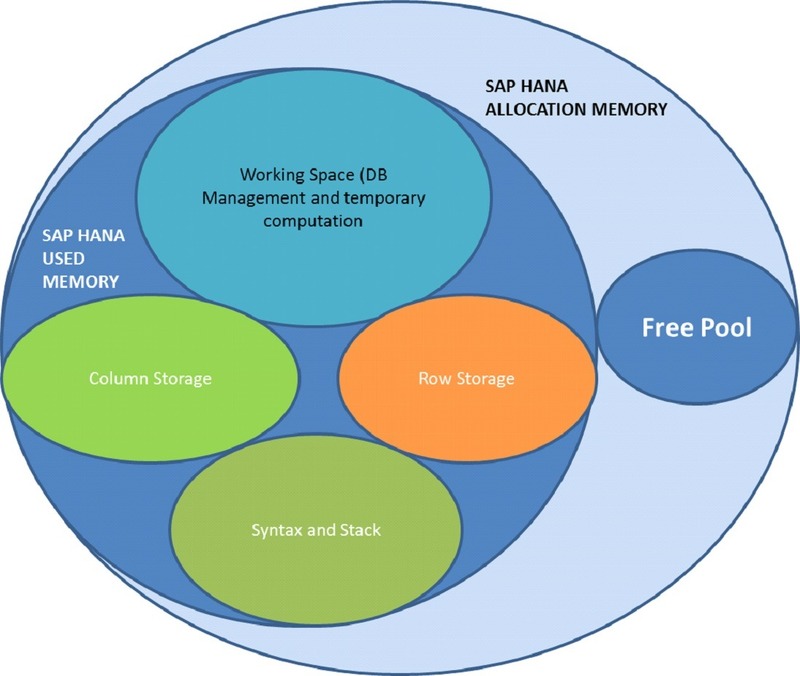 That is why the cost is high when it comes to SAP HANA on premise implementation. Small businesses can always adapt SAP HANA cloud for its cost effectiveness. Typically row based data storage is used in all the relational databases. Whereas column based data storage is suitable for business suites and other high-end analytical tools. SAP S/4HANA supports both types of data storage that is row based as well as column based data storages. Also, it is particularly made for column based data storage. We know that database table is consists of cells organized in rows and columns. 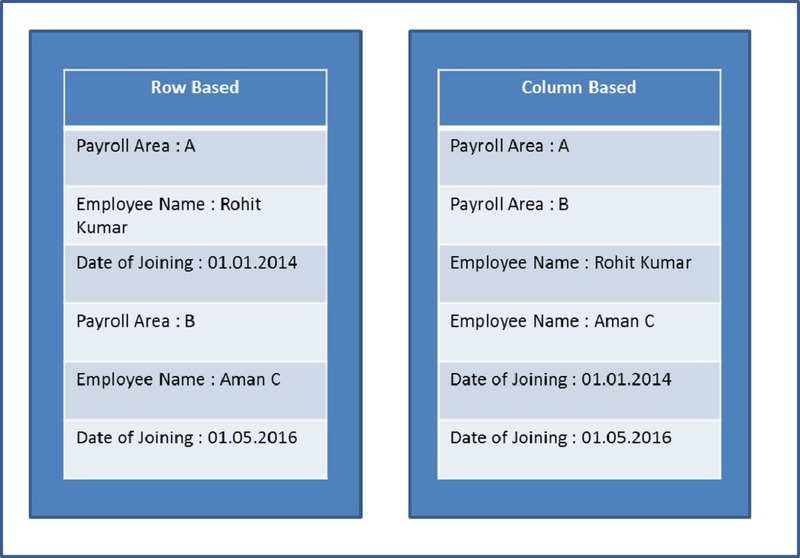 Column storage is mostly used for OLAP queries (SQL function) which use few attributes from data entry. On the other hand, OLTP queries (No SQL function) require all the data attributes to be stored in row format. SAP S/4HANA exploits both types data storage to give high performance. That is, it allows to club row based table and column based tables. SAP S/4HANA exploits both types data storage to give high performance. That is, it allows to club row based table and column based tables. SAP HANA is on Cisco Unified Computing System™ (UCS) server platform, with the Intel Xeon 7500 series processors. 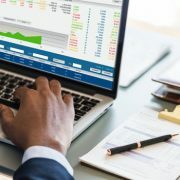 It includes a number of integrated SAP software components such as the SAP HANA engine, real-time replication service, and data modeling and data services. Customers purchase the software licenses from SAP and purchase the infrastructure platform preloaded with the SAP software from Cisco. With S4 HANA cloud edition user cannot work with the local client. So the user cannot launch SAP GUI for windows. Take action in the moment by using in-memory database services to process high-speed transactions and analytics. 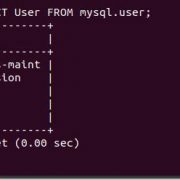 Manage large database volumes using multi tenant database containers and dynamic tiering across multi-tier storage. 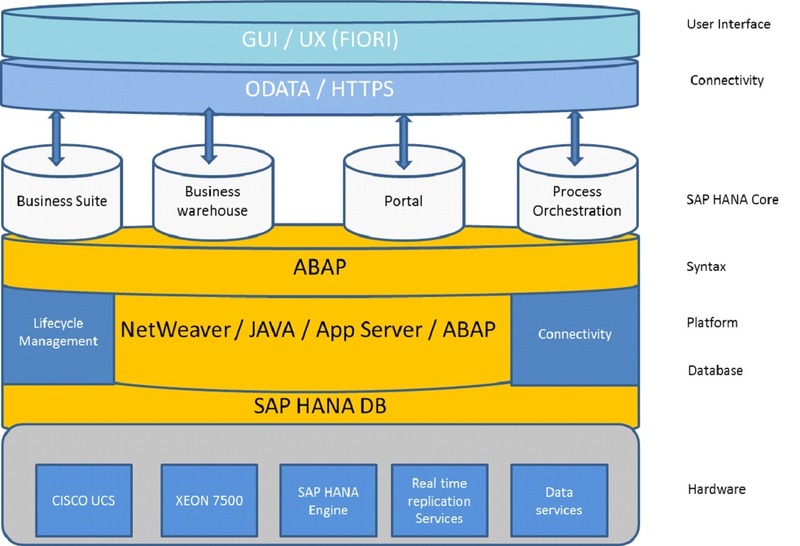 Gain new insights from advanced analytics processing in SAP HANA. By leveraging in-memory data processing capabilities – text, predictive, spatial, graph, streaming, and time series – you can get answers to any business question and make smart decisions in real time. Develop next-generation applications that combine analytics and transactions, and deploy them on any device. Take advantage of best-in-class development tools – and deliver personalized experiences with the right data served at the right time for users. Build smart, real-time applications that combine analytics and transactions – and deploy them on any device – with SAP HANA. 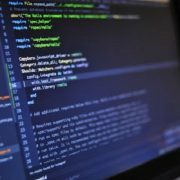 Our in-memory application development platform includes a wide range of tools, including a Web-based developer workbench and IDE. Create apps that offer personalized experiences and instant response times – and take advantage of the Internet of Things (IoT), Big Data, and advanced analytics. Most of the companies and organizations have established the larger hardware infrastructure, a large number of the trained manpower, complete data center, support and maintenance contracts and ongoing system development teams. Taking the entire the ERP to the cloud would have to under a complete transformational event. Before going for the cloud adoption, large companies will have to do a complete study of an organizational impact as it will take away the conventional pride of owning the IT solution and molding it according to the business requirements. Also, detailed transformation plan needs to be prepared to face cultural changes the organizations. The choice between on-premise SAP S/4HANA and cloud SAP S/4HANA depends on several factors. Providers are continuously investing in a new array of solutions portfolio. 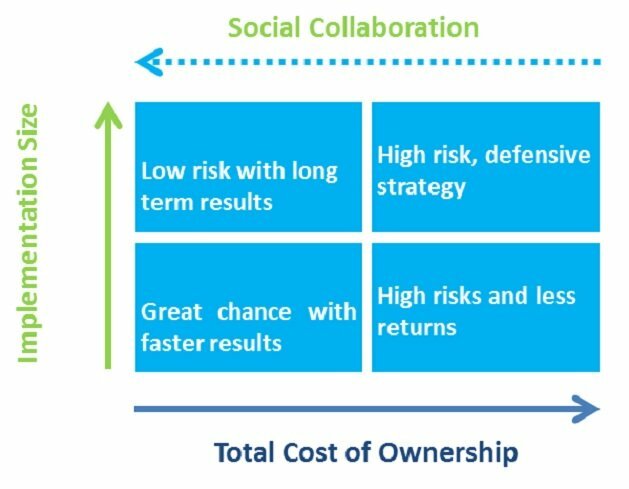 Small and medium companies can achieve economies of scale by using cost effective “Plug and Play” models of other Cloud ERP. Though technology similar to “SAP S/4HANA” is the future.